Good skin starts from the inside out, as I'm sure you'd love to hear yet again! 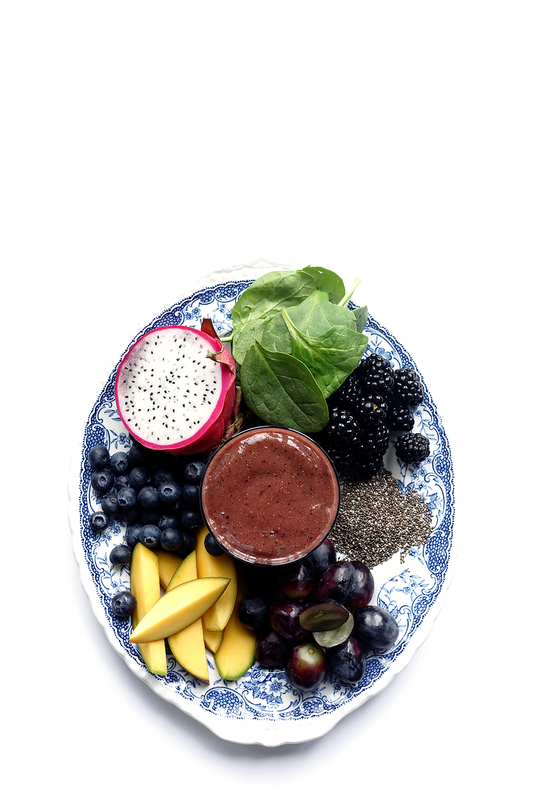 Smoothies can get a bit of a bad rap for being high in sugar but they're still my favourite way to get my glowing-skin-quota - as often as I can be bothered to wash up the blender ;) I've got a magical, summer elixir for you today, packed with ingredients that will have your skin glowing and radiant in no time. Apologies for the quick post today by the way - I've been suffering from horrible headaches lately and it's been a bit of a struggle to do anything but hide in a dark room like some kind of Garbo-esque recluse. Hopefully I'll be back to normal soon?! It's everyday for the last few days and is starting to drive me loopy.. F's been looking after me though, he drove to the store just to get me a potato because I had cravings for a baked tater, cheese and beans :) What a sweetie eh? Mango is full of beta-carotene, a powerful antioxidant that our bodies convert to vitamin A, to keep those wrinkles at bay! 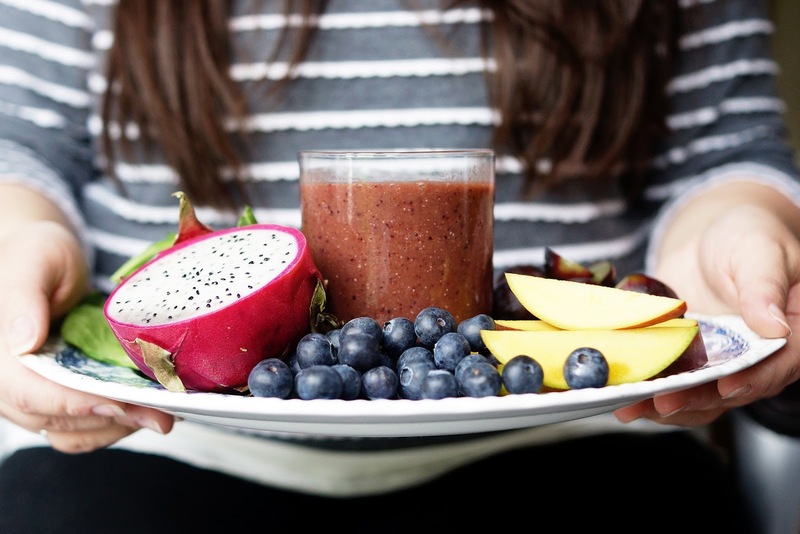 It also makes the smoothie extra smooth and creamy, whether you use fresh fruit or frozen, so no need to add anything cream-like, which I find dulls the fruity tang that I love about smoothies. The grapes, blackberries and pitaya all contain high amounts of antioxidants, to fight off free radical damage and contribute to anti aging. Spinach is wonderfully high in vitamin C, as well as some other individual minerals that are great for skin health, like lutein, to help with collagen production, and the chia seeds, high in omega 6, help with skin elasticity. 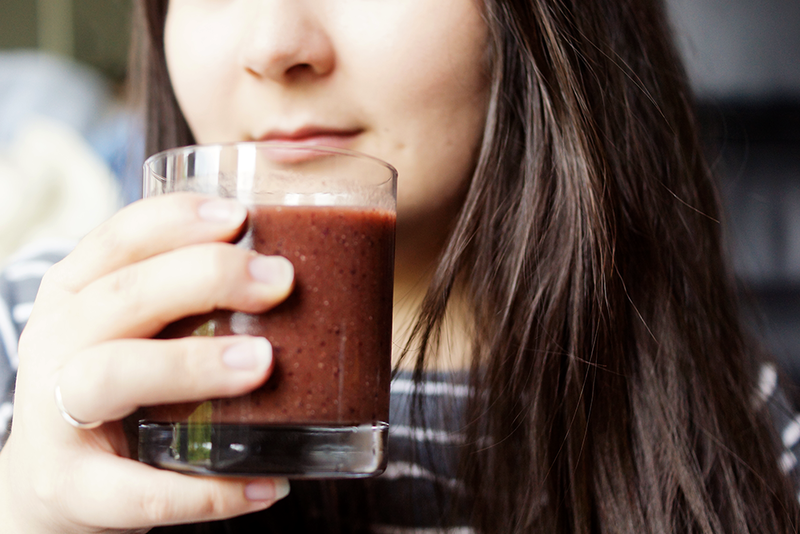 This smoothie isn't particularly a looker, what with it's murky purple hue, but tastes delicious and fruity, and does wonders for your skin, so drink up! 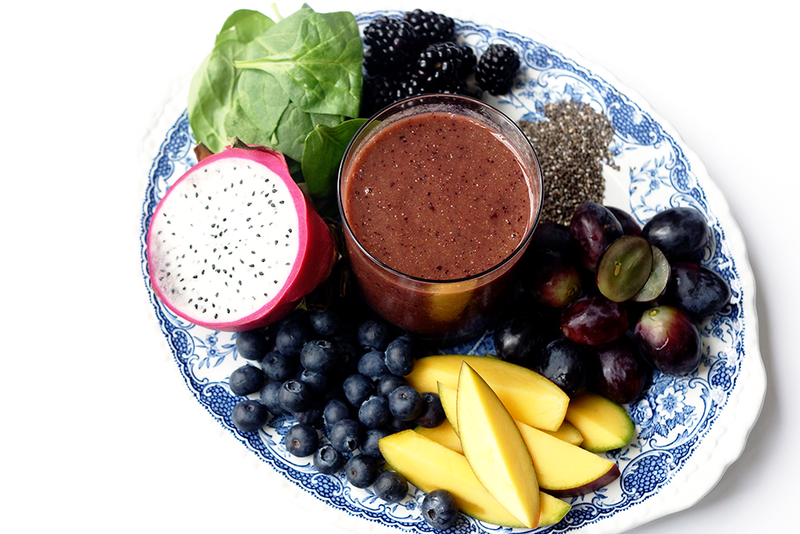 I definitely see an improvement in my skin when I eat well, especially fruit and veg, this sounds delicious! I will certainly try this recipe at home! You're a genius!